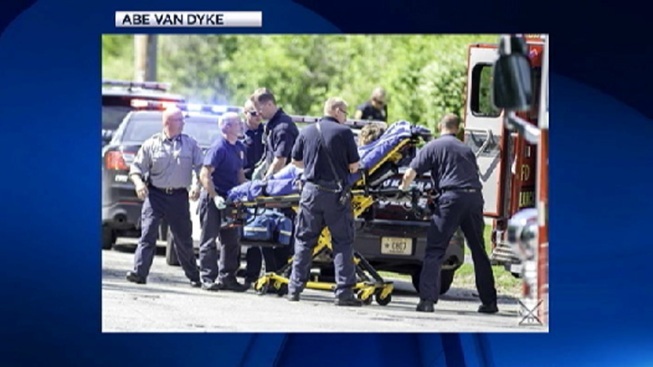 Doctors said she was within "one millimeter away from certain death"
The condition of the 12-year-old girl who suffered 19 stab wounds in a Wisconsin park is improving. The girl is at Waukesha Memorial Hospital where a spokeswoman said her condition has been upgraded to fair. The girl was gravely injured Saturday and doctors told police she was within "one millimeter away from certain death" because one of her stab wounds narrowly missed a major artery near her heart. Two of the girl's classmates at Horning Middle School in Waukesha are charged with trying to kill her. NBC Chicago is not naming the suspects or showing their faces due to their age. The girls told detectives they conspired for months to kill their friend in hopes of pleasing Slender Man, a fictional character they read about on a horror website. According to the criminal complaint, one of the girls stated that "many people do not believe Slenderman is real," and she "wanted to prove the skeptics wrong." Their goal may have been to become a "proxy of Slender," which required the girls to "physically kill someone," the complaint says. The two suspects are accused of luring the girl into a wooded area near Rivera Drive and Big Bend Road under the premise of playing a game, police said. The victim was stabbed in the torso, legs and arms but was able to crawl out of the woods to a road, where she was discovered by a passing bicyclist.